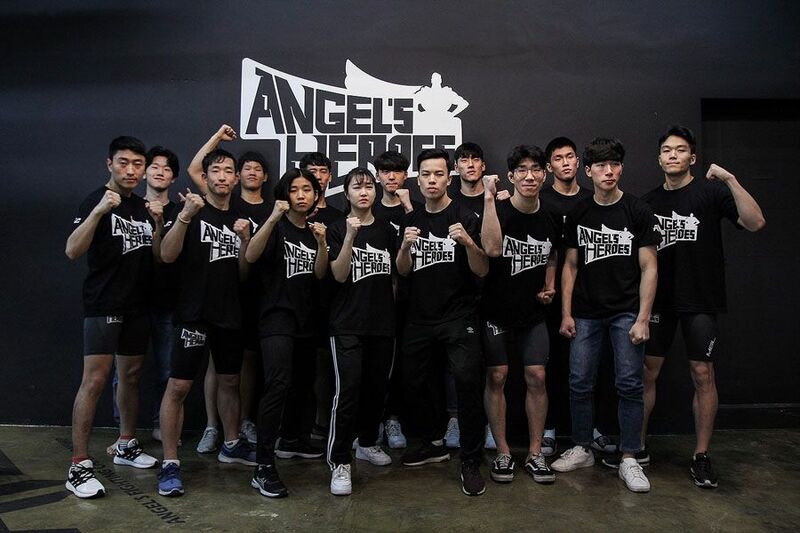 AFC kicked off the first installment of Angel’s Heroes in Seoul on March 16th. The purpose of this independent league is to showcase the new up-and-coming talent in the realms of kickboxing and MMA in South Korea. The headliner had two lightweights, Choi Eun-Ho and Lee Min-Woo, making their professional debuts. Even though they seemed ready to put on a show, the fight ended uneventfully with Lee laying on the canvas screaming in agony. While the fight was closing in on the one minute mark, Choi was pressing forward with leg kicks and feints then Lee leaped forward and immediately collapsed which lead to the fight being stopped. When he pushed off of the mat to jump up, there was a big pop from his left knee rang throughout the small studio. Lee (0-1) was subsequently carried out of the cage in a stretcher and taken to the hospital to be evaluated by doctors. Choi (1-0) wins his professional fight under unforeseen circumstances, meanwhile, the 19-year-old Lee could have a long road to recovery after dropping his debut. The co-main event was contested in the featherweight division with Park Si-Won pounding Tak Myeong-Hyeon throughout a better part of two rounds to get the referee stoppage. Tak realized early that his easiest path to victory was on the ground. He desperately closed the distance and was successful on his first takedown yet Park was able to get back to his feet and landed with the straight left unceasingly. During the second takedown attempt, Park sprawled and attacked the neck but did not make the proper adjustments to finish the choke and Tak slipped out to connect with some solid punches against the fence. It seemed that Tak was turning the tide once they stood back up and traded punches then Park opened up his opponent’s nose with a knee in the clinch at the end of the first. Between rounds, the doctors spent an overflowing amount of time trying to cease the bleeding. No matter the case, the action continued onto the second round with the nose still dripping. Tak instantly went for the leg and utilized pure determination to get Park to the canvas. However, Tak could not keep him there and after some scrambling, he fell to his back. Park connected with hard shots from the top and eventually, the ref saw enough and called an end to the fight. Once Park (1-0) was pulled off his opponent, Tak (0-1) looked relieved as his nose seemed to be badly damaged. 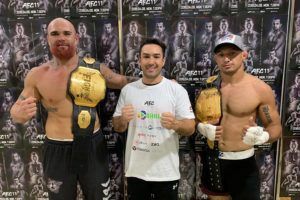 The next event will be a triple title extravaganza on April 8th in Seoul at AFC 11: ‘Challenge For New Champions’.